Jolene Hunerlach joined Myrtle Potter & Company in 2008. 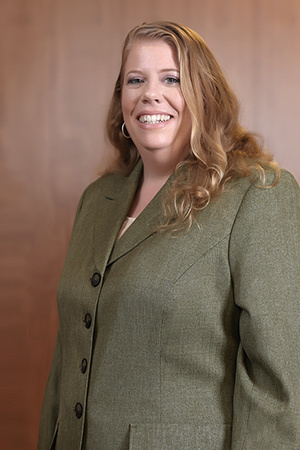 During her tenure Jolene has been responsible for accounts payable, accounts receivable, payroll, tax, financial analysis and internal controls. Prior to joining MP&C Jolene was the accounting administrator for Chapman Properties, Inc. where she was the administrative assistant for the vice president of finance. In this role her responsibilities included; managing the internal auditing process for fixed payables, and special projects for finance group. Before this role Jolene spent twelve years as the administrative assistant and office manager at Gejos’ Engineering & Machining, in Santa Clara, California, where she was responsible for customer service including receiving orders through completion, delivery of products, office management and accounts payable/receivable, payroll and general bookkeeping.Jolene has a M.A. in History, Ancient/Medieval and a B.A. in Political Science, both degrees are from San Jose State University, San Jose, CA.